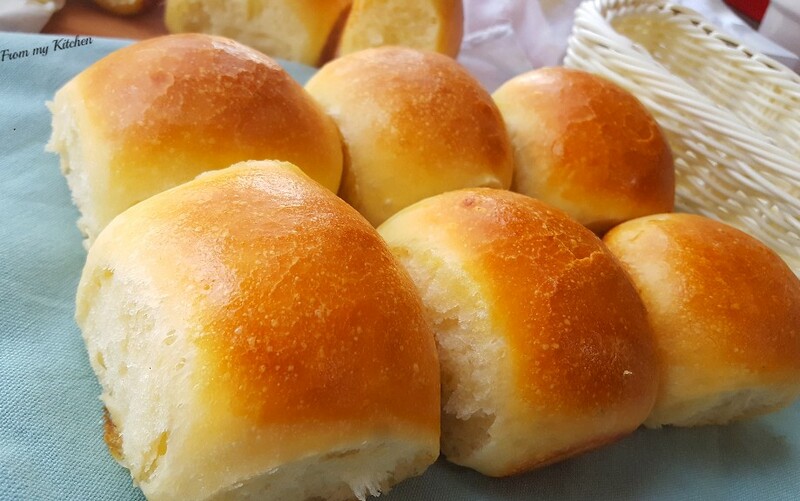 What’s better than this?What a satisfaction on seeing this freshly home made cute little pav buns!Soft and fresh!Straight from the oven to the table !I love that distinctive smell while baking bread!The whole house smells like a bakery!whooa!That’s the happiness for me!hehe! 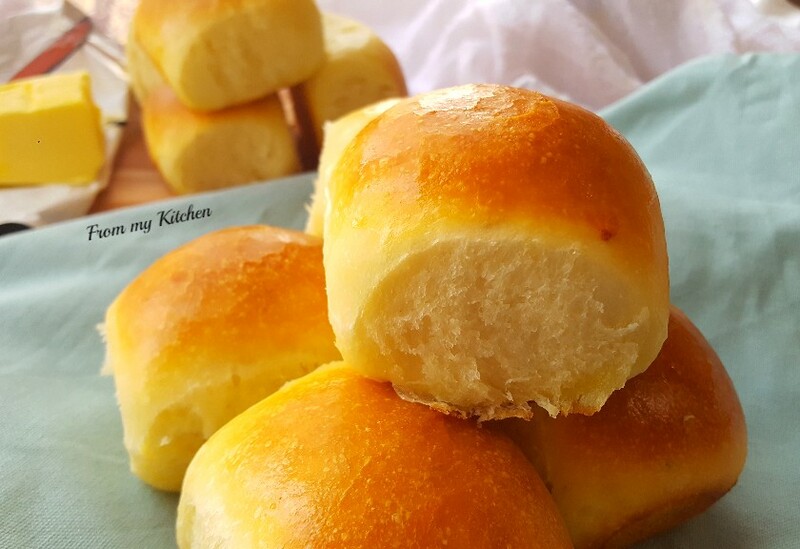 The bread is soft! 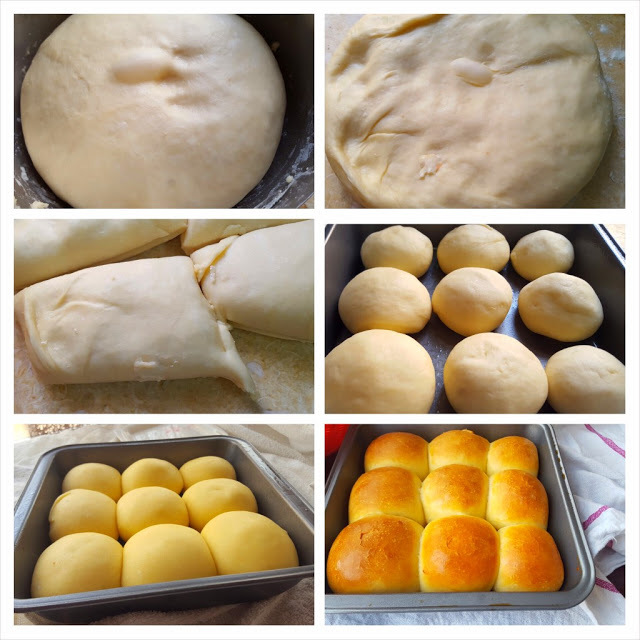 It’s simple to make.There are many recipes using this cute pav breads!Stay tuned to know what i made with these buns!You can also roll it individually and make burger buns! 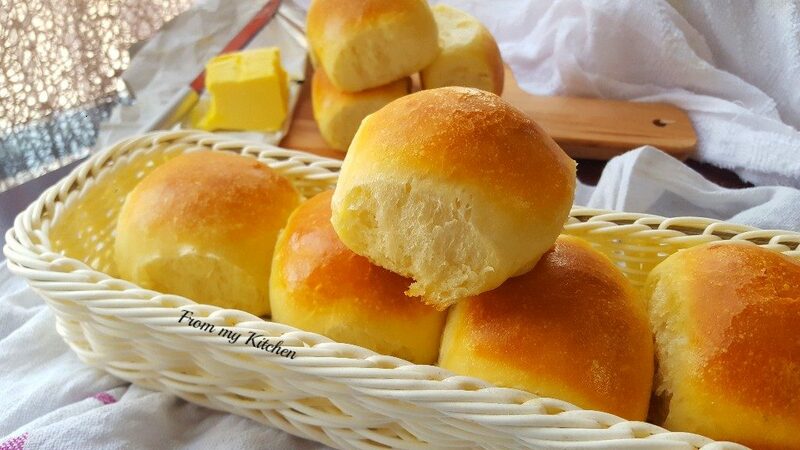 The trick to get a real soft buns are kneading and the soft dough.If the moisture is less your bun will go dry and hard..Also after baking immediately apply some butter and cover it with a kitchen towel. Mix all dry ingredients and then make a well in the center.Pour liquids and start kneading.The dough will be sticky first,dust some more flour on your work area and knead it well for a good 8 to 10 minutes until soft and spongy.Apply some oil in the bowl and keep the dough in that and let it sit in a warm place for proofing. 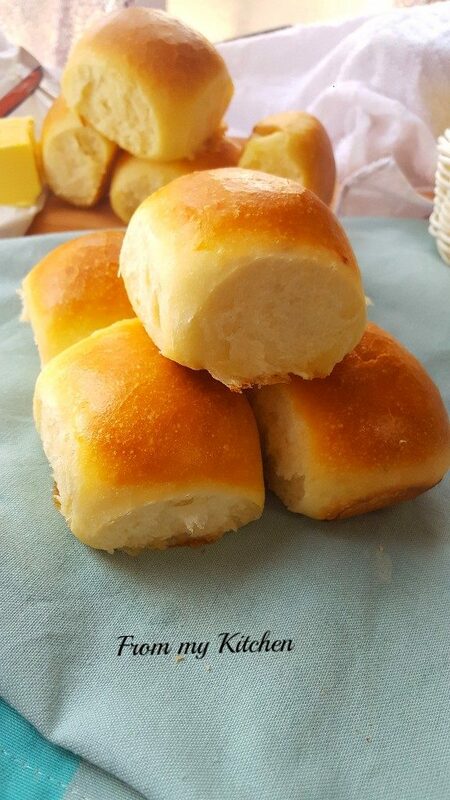 When the dough is doubled knock it down spread a little. Arrange it to an oiled baking tray. Leave some space in between and let it rest covered for 1/2 an hour for second proofing. Immediately when the bread is out apply some butter and cover. Tip : If your bun crust gets very hard cover it with a damp muslin cloth. 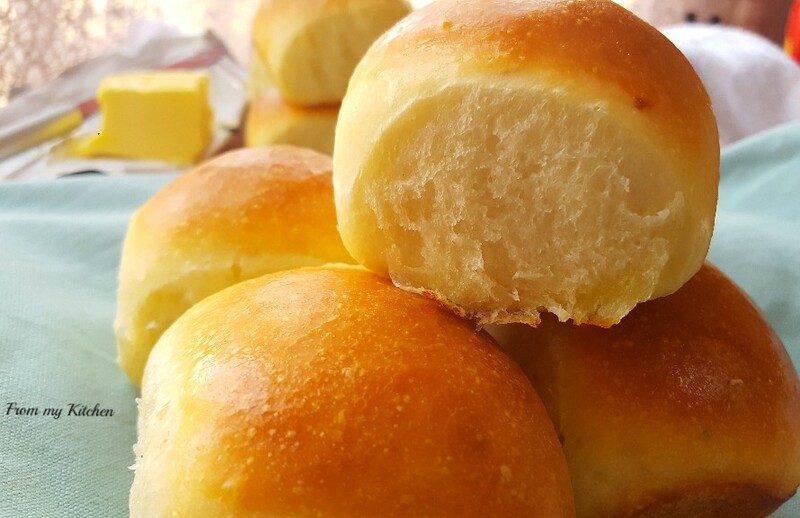 Enjoy it simply by applying some butter on it or with bhaji or anything else…………option is yours!My recipe will be uploading soon! 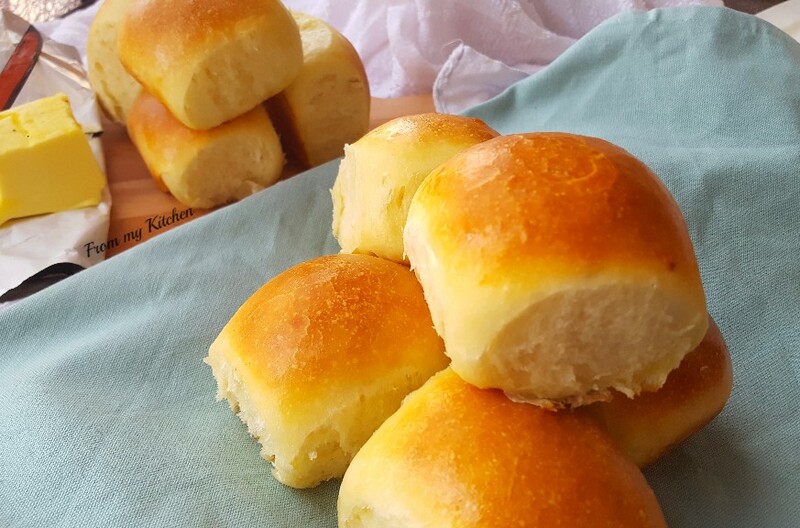 Bake your own breads and enjoy the moment! Looks so fresh Shaz! MashaAllah!